Francesca Capaldi Burgess has just spent a couple of days at the Hay Festival. I was going to call this post ‘Make Hay while the sun shines’, but unfortunately the sun was mixed with a good deal of wind and rain. 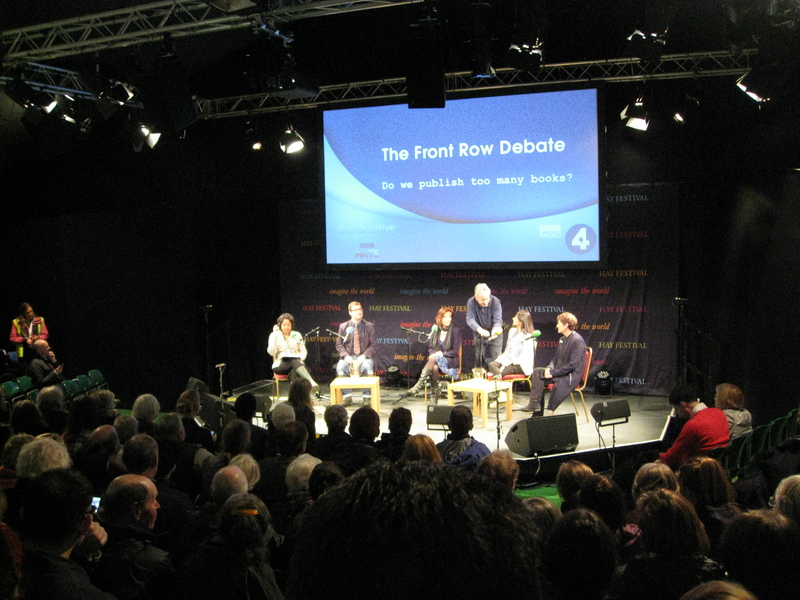 Nevertheless, I spent an enjoyable Wednesday and Friday at Hay Festival. On Wednesday, I went with my good friend Catherine Burrows, who like me has had short stories published and is now writing novels. We sat in on an interview with Victoria Hislop, author of The Island, talking about the whys and wherefores of her latest novel, The Sunrise, set in the deserted town of Famagusta in Cyprus. We then did a tour of the festival itself, mostly under huge marquees, before taking the shuttle bus (£1 return) into the town, which is full of new and second hand book shops – well worth a visit. We enjoyed our day but decided that next time (yes, we want to go again!) we’d book more talks, of which there were many on offer. 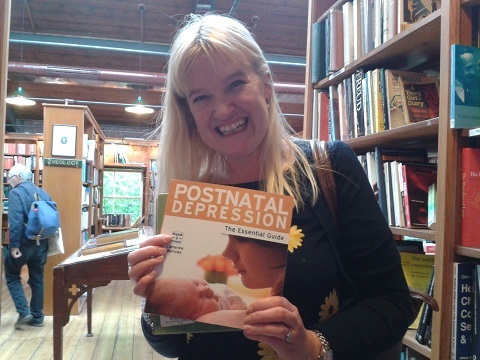 Catherine was thrilled to find her book in Richard Booth’s famous bookshop! Onto Friday, and a very different day with my daughter-in-law and the three children. Apart from a full programme of entertainment, Hay has much to offer children in the shape of a ‘Mess’ Tent and a Make and Take Tent, where children can partake in various activities. Eleven-year-old Ben enjoyed attending a talk with Michael Morpurgo and a story telling session with Daniel Morden and Oliver Wilson-Dickson, while two-year-old Phynn was thrilled with the Peter Rabbit puppet show. In the afternoon I attended a talk by YA author Meg Rosoff, a favourite of mine. She talked about how she gets ideas and her own writing process. She reckoned a writer could either pull a story along, like dragging a tyre on a beach to the destination they wanted, or follow it to see where it went, which she felt was the ideal method. She likes to write in thin layers, so that draft after draft she adds a new layer. She never thinks about an audience when she’s writing (which writers are usually advised to do) but asks herself a question and attempts to answer it. Meg was highly entertaining as well as informative and I’d certainly like to hear her talk again if I got the opportunity. My daughter-in-law’s father went to see Marc Morris, an historian who’s new book looks at King John and whether he was the king we think he was. I’d love to have attended that too but it clashed with Meg Rosoff. Typical! 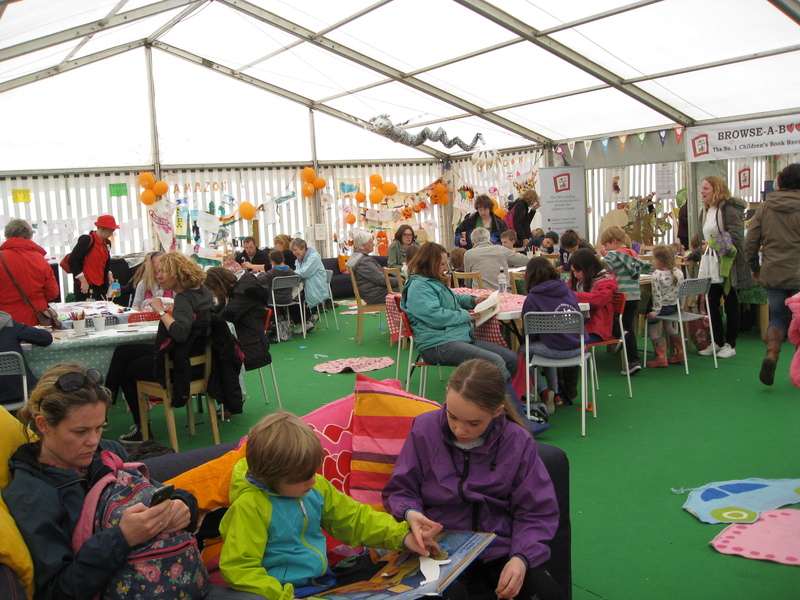 Along with some awesome and diverse eating places, there was, of course, the huge book tent. Signings were held in here (I couldn’t hang around long enough for Meg sadly), along with books already signed by attending authors. 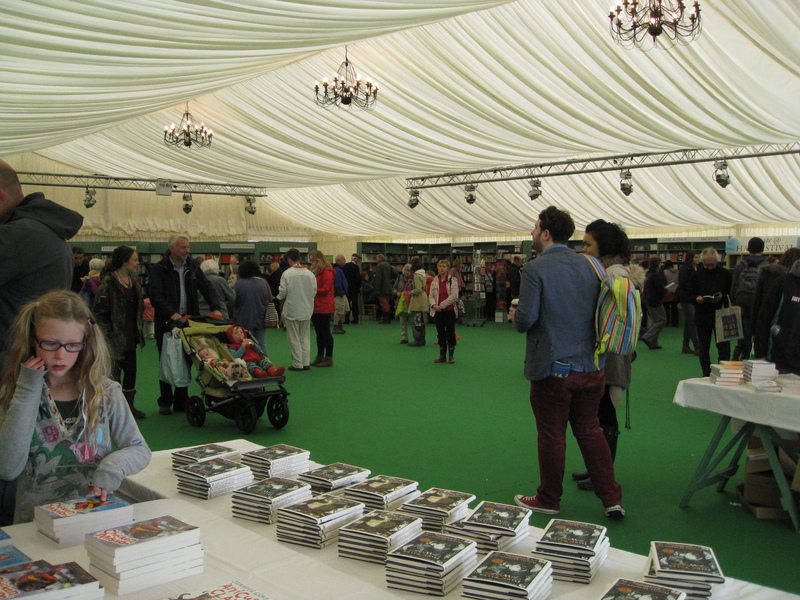 The book tent, or marquee, more like. 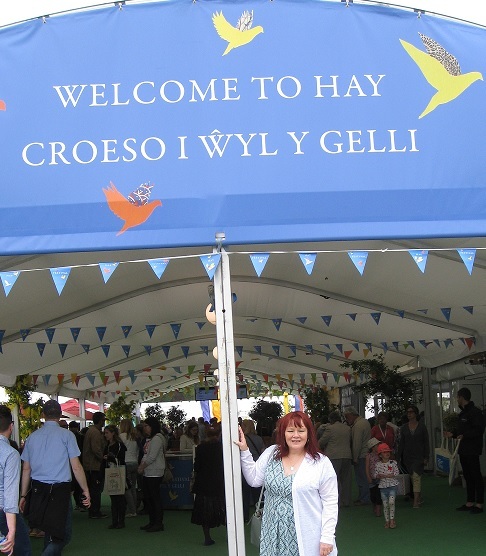 All in all we enjoyed our trips out to Hay and agreed we’d definitely attend again next year. Hay Festival general website HERE. There are ‘Hay’ Festivals all over the world at different times of the year. 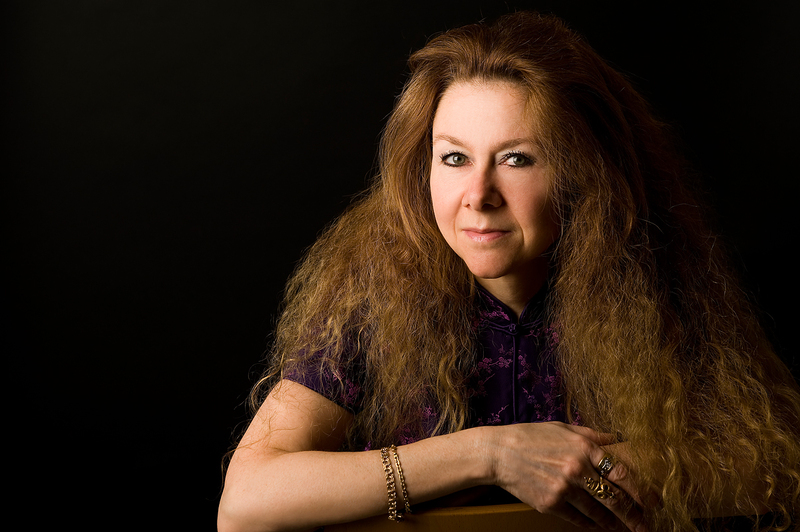 As Pia Fenton, who writes as Christina Courtenay, steps down as Romantic Novelists’ Association chair, we find out about her last two years and what she’s got planned for the future. Welcome to the blog, Pia. As a prolific writer with many interests, along with your role as chair, how have you managed such a hectic schedule? Are you very organised? I try to be but don’t always succeed! Mainly I make lists, lots of them – I couldn’t survive without lists and often wake up in the middle of the night to add things to them. It helps that I don’t have a fixed writing schedule, I just write as/when I have the time so I’ve been able to fit in RNA work around the writing (or vice versa). What’s been the highlight of your time as chair? I don’t think I can pinpoint just one thing, but for me the highlights have been when everything is running smoothly. The parties, conferences and awards events, for example – there’s an awful lot of work that goes into organising those and it’s wonderful when it all comes together and people come up to you and say how much they’ve enjoyed it. That makes it all worthwhile. I have also really enjoyed meeting and getting to know a huge range of people – that’s one lovely aspect of being chair! What changes have you seen in the RNA during your tenure? The RNA is changing all the time and we’ve been trying to move with the times. The main changes have been to the awards, which are evolving and becoming more well-known and appreciated. And of course we will be admitting self-published/independently published authors from September onwards – it took a long time to figure out the best way to do that, but we got there in the end! How do you feel about stepping down and is there anything you’ll miss about not being chair? It will be a huge relief in one way as the responsibility of being chair was quite scary at times – as they say, the buck stopped with me. And if things went wrong, ultimately it would have been considered my fault. But I’ve loved being at the heart of the organisation, helping it to move forward and hopefully steering it in the right direction. And I’ve worked with the most amazing group of people – my committee and all the other volunteers – without whom I would have been totally lost. I will miss working with them very much! To have a break, then get on with some writing which has had to take a back-seat for the last couple of months. I’ll be at the RNA conference and plan to enjoy being just one of the crowd. As I sometimes write YA, I’m taking part in YALC (Young Adult Literature Convention) in July, where I’ll have a book table together with three fellow YA authors, collectively known as Paisley Piranha. And then I will concentrate on my family for a bit too, as I’m sure they’ll be feeling rather neglected 🙂 I’ll still be part of the RNA though and look forward to seeing it evolve further as Eileen Ramsay takes over from me – she’ll be a fabulous chair, I’m sure! Thank you for taking the time out to talk to us, Pia. Good luck with the new book, The Jade Lioness and with all your future ventures. The Jade Lioness is available as an ebook now and due out in paperback in October. 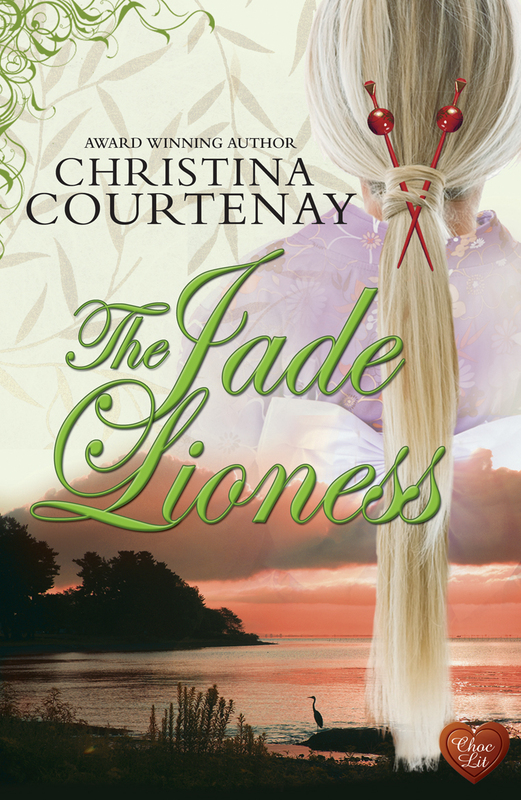 An historical romance, it’s the third in Christina Courtenay’s Japanese series. 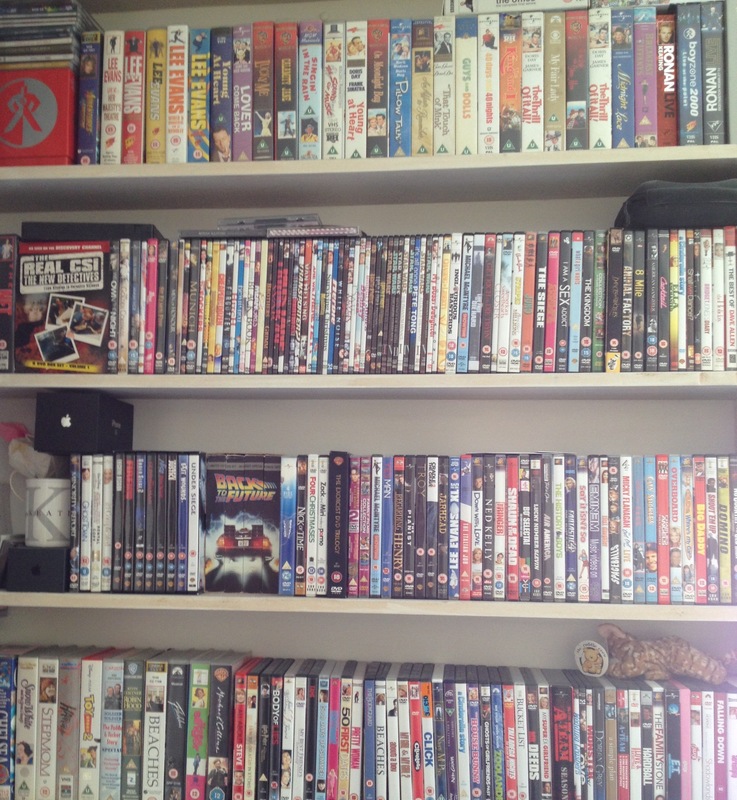 Elaine and Francesca consider some of their favourite films. Elaine: When Francesca and I discussed writing a piece on our favourite films, I’m sure you can believe me when I say it was impossible to pick just two. 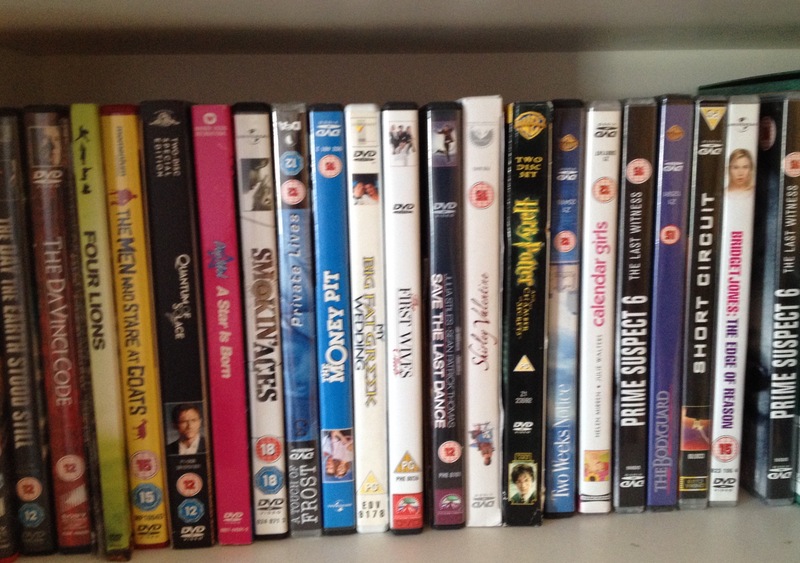 Obviously the list can go on and on but for me, the films were enjoyable but the books were great. However, I do love a feel good film. The obvious ones relate to Christmas. Love Actually is up there, as indeed is Miracle on 34th Street, but I also love an old fashioned Doris Day movie. It is difficult to pick just two but I’m going to give it a go. Sliding Doors, starring Gwyneth Paltrow and John Hannah. This film is up there because I like the idea that you get to where you are meant to be eventually, no matter how many bad decisions you make along the way. Dead Poets Society, starring Robin Williams. He was such a talented person and a loss to our society. The film is about students being made to fit into what their family and society decides for them. I won’t give too much away just in case somebody decides to watch it. It comes highly recommended. 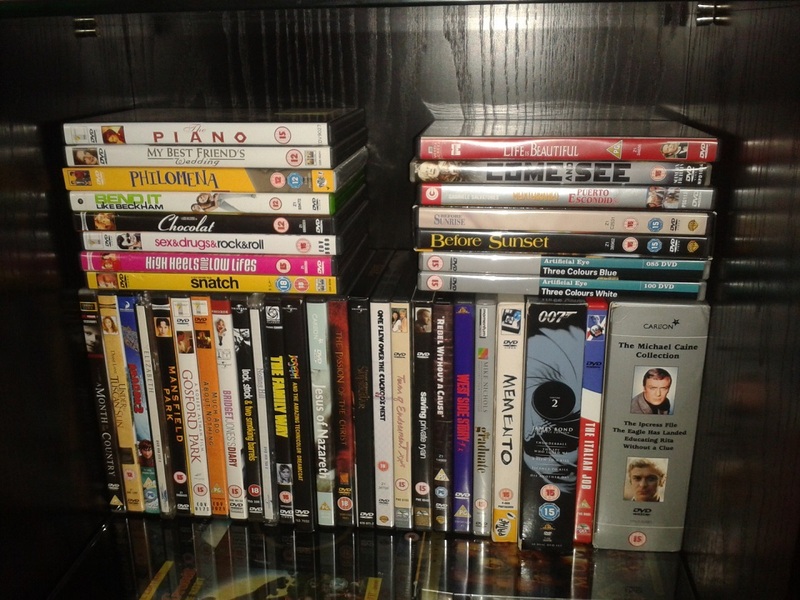 Francesca: I agree with Elaine that I’m not very fond of films made from books I’ve enjoyed: they are often a disappointment. One of the exceptions is To Kill A Mockingbird. 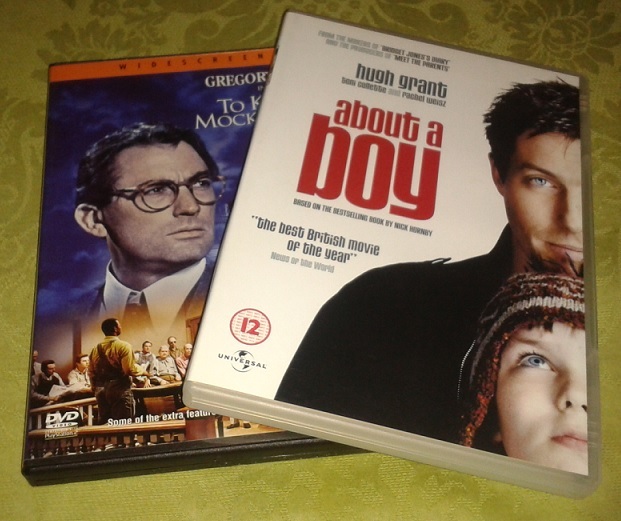 The film makers did a good job and Gregory Peck plays Atticus Finch to a tee. I’m also very fond of the The Lord of the Rings films. Even though there is much to make me hit my forehead with my palm (eg, soppy, feeble Frodo in the film as opposed to tortured, resolute Frodo in the book), there is much to love too. The first one, The Fellowship of the Ring, remains my favourite of the three, as with the books. I love British films from the 1960s like Georgy Girl, Alfie, Whistle Down The Wind, Up The Junction, A Taste of Honey and Kes. It’s partly because they evoke the period of time when I was a child. They’re also dramas about ordinary people during an era of social change. The characterisation in them is fantastic and good characterisation is something I always strive for in my own novels (whether I succeed is another matter!). I enjoyed The Mummy films (the first three anyway – the last one was ‘muh’). They were great fun and full of adventure. Complete escapism. Ditto the first three Star Wars films (that is, the original three, since they came in reverse order!). Okay, that’s already more than two. Difficult to leave out so many but I must mention About a Boy. It has pathos and comedy and made me want to cry as well as laugh. Perhaps one day I’ll get round to reading the book! Something else I have to agree with Elaine on: Miracle on 34th Street. It’s my favourite Christmas film of all time (I’m referring to the 1947 film, not the 1994 one – not sure about Elaine). ‘It’s not just Kris that’s on trial, it’s everything he stands for. It’s kindness and joy and love and all the other intangibles.’ Yes, ‘feel good factor’ indeed. 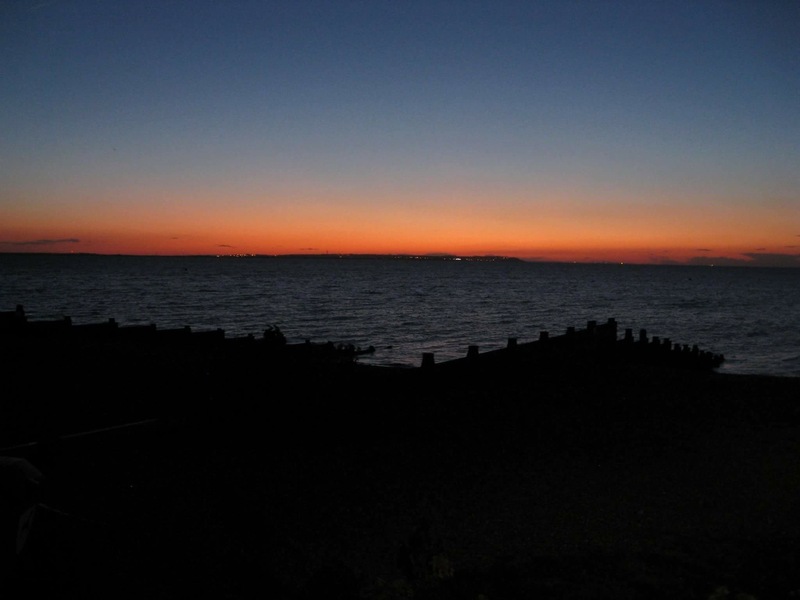 Last Saturday, four of us, Francesca Capaldi Burgess, Elaine Everest and Natalie Klienman and I descended upon Whitstable, Kent, for a week-long writing retreat. 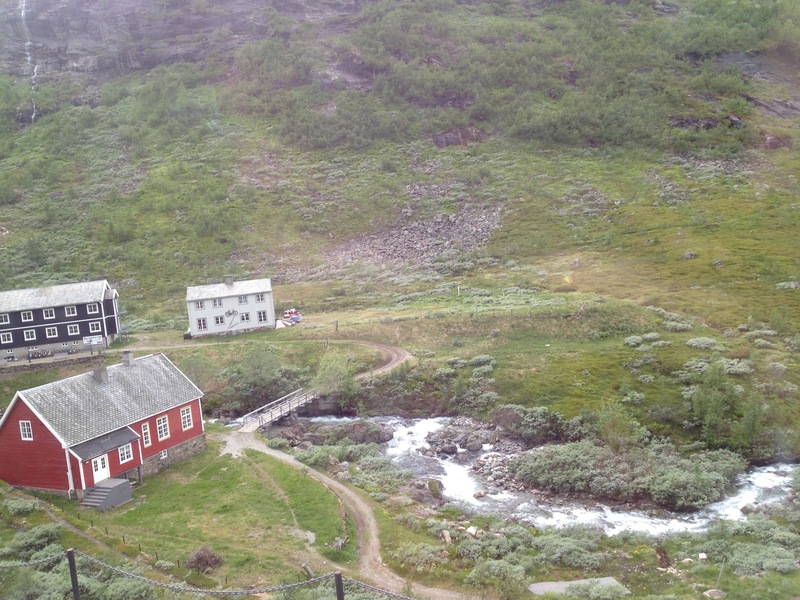 What a wonderful place, it feels untouched by modern life with its small individual shops. Not a chain store in sight. Although the wind was high, the sun was shining and the cottage we rented was lovely and spacious, so finding our own writing space was not difficult. Two of us were writing an existing work in progress, the third was editing, while the fourth was writing the opening chapter. I’m not sure out of those three options, which are the easiest. As a writer will tell you, the opening chapter is probably the most important one as you need to hook your readers. Personally, I have six versions of my opening chapter where I keep making changes. On the other hand, I’m not a fan of editing. Although, it has to be said I love the result of a finely tuned sentence, scene or chapter. None of us knew the detail of each other’s stories but every so often someone would ask a question and that would give us an insight into what was being written about. This was followed by calls of “I can’t get on the Internet”, which made us realize how we can’t function without it. It didn’t take long to settle down to our own way of working, each of us lost in our own worlds. 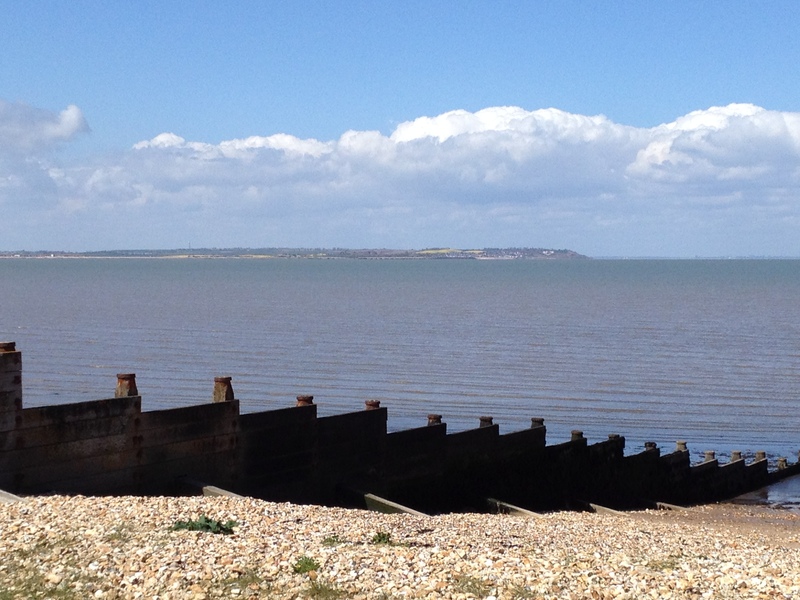 The weather was glorious and the days were broken up with wonderful walks along the beach and that certainly blew the cobwebs away and got the blood pumping round the body, and of course something fishy for lunch; you can’t go to Whitstable and not have fish. Francesca and Elaine put Natalie and I to shame when we were too cold to walk down to the beach and look at the sunset but Francesca took a lovely photo of it, which I laughingly said I would claim as my own. Plenty of delicious food passed through our lips and of course the odd glass of wine. 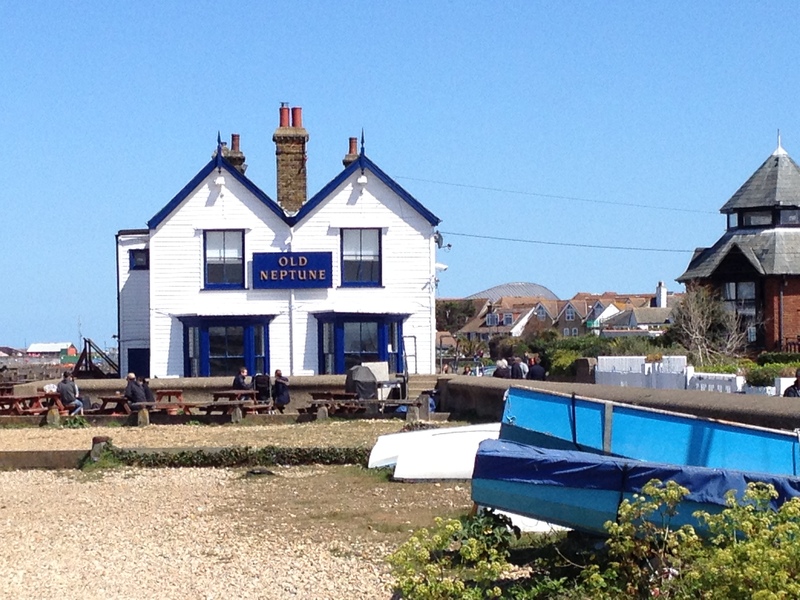 On the last day we spent a couple of hours visiting the individual shops that is Whitstable. We came home ladened with fish, cheese and the local ale. We had a day out in Margate where we visited the Turner Contemporary Art Gallery and found places to eat, where they played some fantastic music. I was very pleased with writing just over ten thousand words, especially as we had the day out. I know the other ladies that write achieved their own goals for the week, so I believe we can call it a success. It was certainly a worthwhile exercise and one I would be happy to repeat. Just What We Always Wanted? Francesca and Elaine think back to something they’ve each had a hankering to do. Francesca: I long had a yearning to restore or convert a house. You know the sort of thing, a run down farmhouse or a Georgian residence by the sea that’s seen better days. My husband, despite being a structural engineer, has never had the same urge. He would rather build one from scratch. Maybe its because he’s seen the problems restoring old buildings can bring. In Littlehampton, when I was a young child, I recall there being three or four large Art Deco houses overlooking the east side of the beach. We used to pass them on the bus. They were clearly empty and run down, though I’ve no idea why. 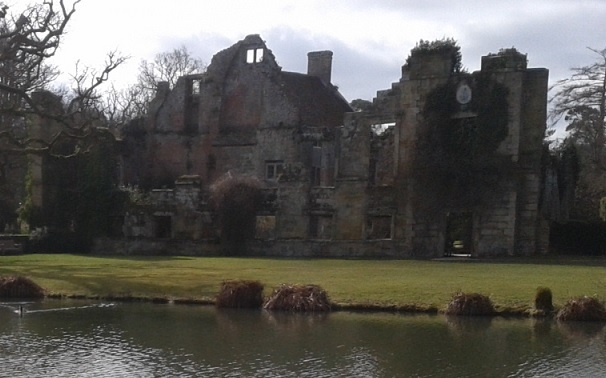 They were beautiful houses. How I longed to own one and restore it to its former glory. They were eventually pulled down and I think there are ugly flats there now. I still have dreams that I’ve discovered new rooms in my house (which never looks like the house I’m living in), like two extra bedrooms or a huge secret living area. This is much better than a similar recurring dream of mine, one where I’ve moved and wish as soon as I get there that I hadn’t! Would I still like to convert or restore a house though? Probably not. TV shows like Grand Designs, where people suffer stress, angry neighbours, trouble with planning permission and unrealistic budgets is enough to put the hardiest enthusiast off. No, the nearest I’m ever likely to get now is designing a house for one of my characters! Elaine: The romantic notion of roses growing around the front door and a lovely garden gate at the end of a footpath has always been something I aspired to. Not ever having a garden gate, not in the traditional sense, I always imagined one day living in a character cottage in a small village. Spending the last few years staying in numerous villages for long weekends, I have to say my magical bubble has burst, but it wasn’t so much a loud pop, more of a little fizz. There is no doubt the villages I have stayed in have all been lovely, and great for writing, but some have had no street lighting or pavements to walk along. Being the type of person that jumps at her own shadow, I could never come home after dark by myself. However, it has made me realise I’m a townie. 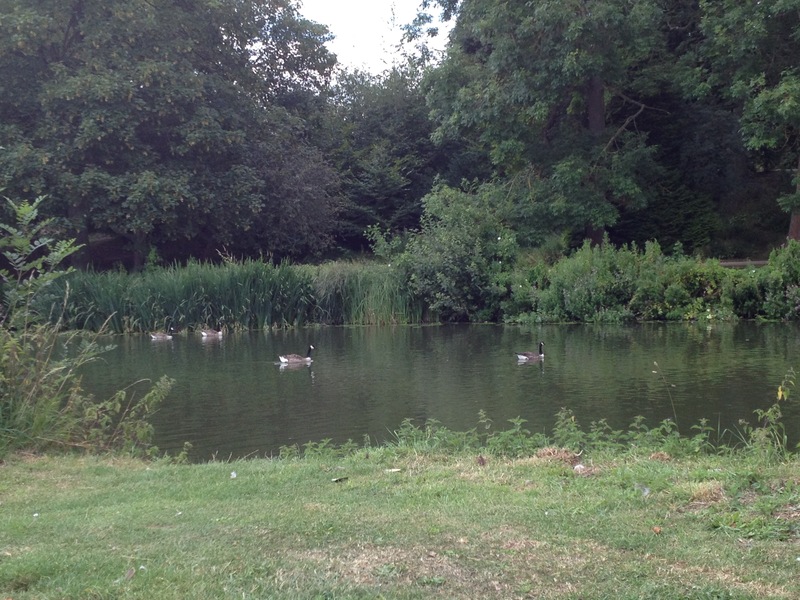 Where I live is not the best place in the world, but living forty minutes from London has its advantages, with the many theatres and museums. Equally, I’m probably a similar time from the coast. I’m also ten minutes away from one of the biggest shopping centres in Europe. 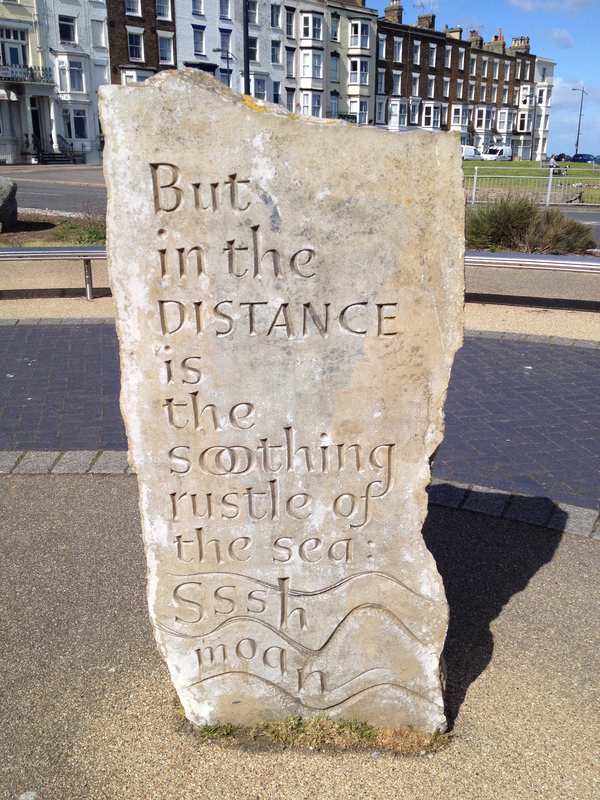 There are also excellent transport links close by. While not trying village life, and trust me I’m not knocking it, I have accepted that I am very well placed for everything I need. As I’ve got older, my dream of village life has slowly fizzed away without me noticing, but I will continue to visit the beautiful British countryside and enjoy my time there, knowing I will soon be home and enjoying all that it has to offer. What have you always thought you wanted, but then…?